International education policy-makers, practitioners and experts from around the world will descend on Auckland in 2021 for the Asia-Pacific Association for International Education (APAIE) Annual Conference and Exhibition. 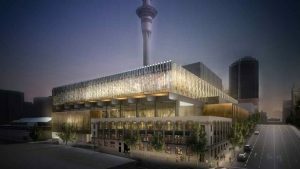 The three-day conference and exhibition will be held at the New Zealand International Convention Centre (NZICC) and is expected to attract more than 1,700 delegates and 200 exhibitors, who will stay a total of 8,700 visitor nights and contribute an estimated spend of $3.3 million while they are here. Auckland Tourism, Events and Economic Development’s Auckland Convention Bureau (ACB) helped secure the winning bid for New Zealand, working in partnership with Education New Zealand, Tourism New Zealand and a consortium of the country’s leading universities, led by Auckland University. Mayor Phil Goff says, “International education is a valuable contributor to the Auckland economy and the country’s fourth largest export industry. “It is great news that Auckland will play host to such a major international education conference. It will showcase our region and illustrate the value of this important sector to New Zealand. “Auckland attracts more than 80,000 international students each year. Beyond the economic value of the sector, these students improve our connections to the world, bring vibrancy and diversity to our city, and fill skills shortages in areas of high demand,” said Mayor Goff. The APAIE seeks to bring together international educators, universities and related organisations active in Asia-Pacific higher education to promote communication, networking, professional development and learn about new developments in international education. Head of ACB Anna Hayward says 2021 is shaping up to be an exciting year for Auckland, with a number of major convention wins along with the city hosting the America’s Cup and APEC throughout the course of the year. “This is a fantastic result for Auckland and New Zealand and is another example of how Auckland is able to compete for events like APAIE at this larger scale with the additional capacity that the NZICC brings,” she says.